Instead of relying on almost-never-correct schedules, Kicker Studio has come up with an innovative system to use the city’s data streams to give up-to-date transit information. When can we start using it? Unlike many cities, San Francisco offers a wealth of open data, with information available about everything from parking meters to public artwork. The trouble is, not everyone realizes quite how valuable this information can be. At last week’s GOOD Design event, which pairs city leaders with designers–San Francisco director of innovation Jay Nath challenged Kicker Studio to come up with an innovative approach to educate the public on the value of open data. 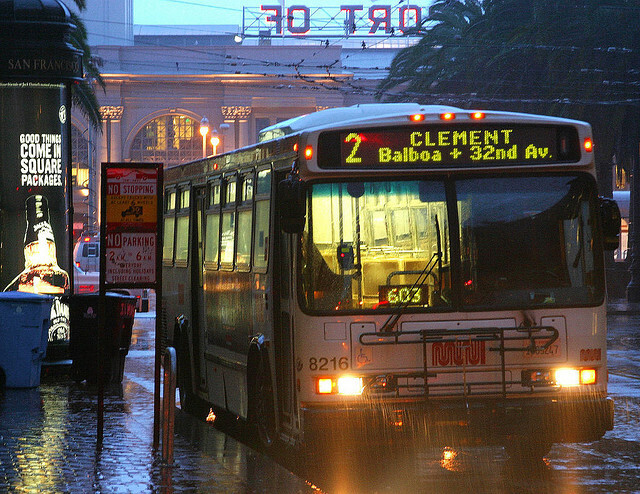 Kicker’s solution: using data to help fix the city’s busted transportation system. So Kicker proposed using an SMS interface that allows for incident reports and for drivers to reroute their buses if, say, their services are needed after a ballgame and the scheduled routes can’t handle all the people waiting for the bus. Kicker even had a decent solution to the antiquated scheduling system with an interface that takes in data feeds related to traffic and traditional route timing to provide better estimates of when the bus will arrive. That same interface could allow users to crowdsource bus information, like whether there is a belligerent passenger on the 14 Mission line. 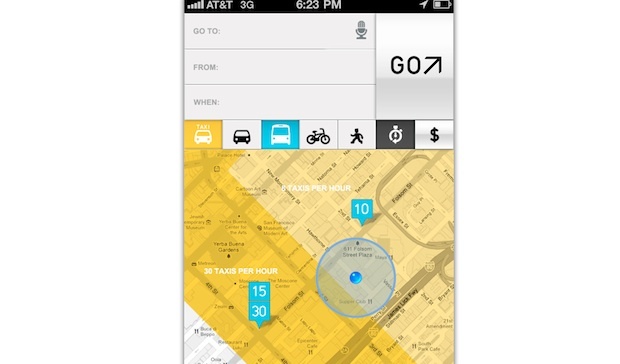 The best part of Kicker’s presentation was a user interface (for phone or web) that shows the nearest bus lines, when the next bus is coming, which nearby routes are most common for cabs (they aren’t always so easy to find), and where the best routes are for bikers–all using publicly available data. The interface could also tell users which method of transportation is the most cost- and time-efficient. Our only question: When can we start using these apps? At this moment, there are innumerable stressed-out San Franciscans wondering why the bus never seems to run anywhere remotely on time.